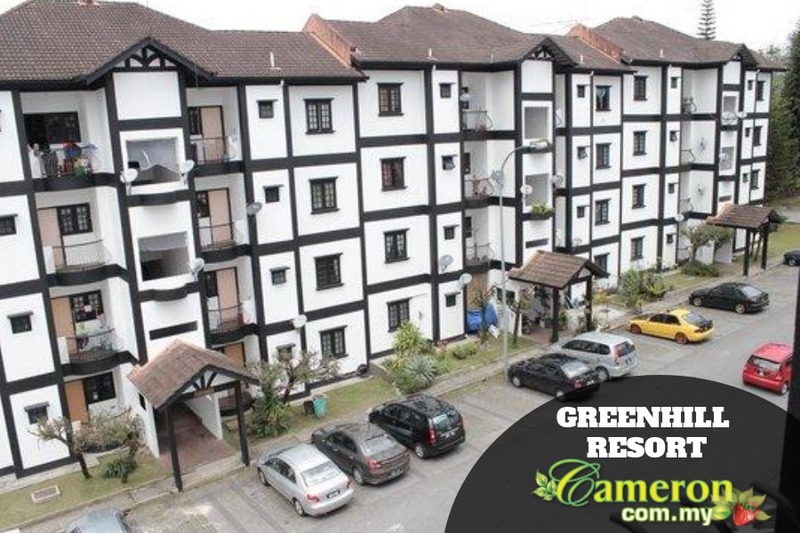 The Greenhill Resort Cameron Highlands Apartments is among the many choices to stay in when you visit this highland town. What makes the Greenhill Resort so unique is in its environment which is peaceful and quiet in its own way. Strategically located not far from major landmarks of Cameron Highlands, the Greenhill Resort Apartments is an ideal place to stay if you are coming with a group of friends or family. There are several blocks of apartments here where you will enjoy the convenience of being serviced with lifts at every floor. As you are within some of the oldest rainforests in the world here, staying at Greenhill Resort means that you are enveloped within some of the most amazing landscapes you can imagine. The Greenhill Resort is located not far from Tanah Rata which is where you will find a wide range of public amenities like the bus terminal, banks and the tourist information centre. Besides that, you are about 10 minutes away from Brinchang town in which you will find a lot of eateries, hotels, commercial areas and the very popular Pasar Malam. From here, you will be connected to the major attractions like the tea plantations, the flower and vegetable farms and such. From the Greenhill Resort Apartments, you are within reach of banks, restaurants that serve both halal and non-halal cuisines. There are farms and markets not far from here as well. The shopping arcades are located around the commercial centre of Tanah Rata where you will find souvenir and craft shops as well as convenience stores. There are more than enough parking spaces available at the Greenhill Resort while the apartment units here are very well equipped. They are mostly fully-renovated with furniture and other home appliances. You will enjoy the LCD television with satellite services while you can bring your own food for cooking as well. The units come with 3 rooms and bathrooms that are equipped with hot water. Parks and playgrounds are located around the vicinity while the Cameron Highlands Golf course is 3km away which makes the Greenhill Resort the perfect place for families coming here for a vacation. Address: No. B8-4, Greenhill Resort, Jalan Gereja, Tanah Rata, 39000 Cameron Highlands Pahang.